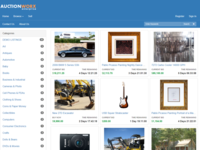 Companies looking for a complete online auction website that can be configured and extended: Collectors, Liquidators, Auctioneers, Dealers, Estate Sales, Large Equipment, Real Estate, and more. 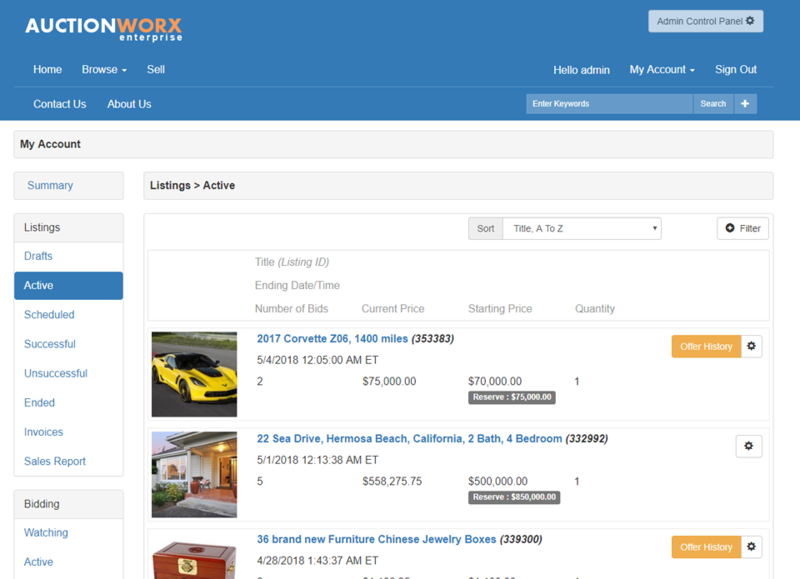 AuctionWorx Enterprise Reviews Recently Reviewed! Pros: Ease of use and setup are fantastic. Everything you could want in an enterprise grade online auction software is here. If you are looking for a place to get away from the big E or just a great private auction software, this one is for you. Things it has that we needed and love: registered users with custom fields, User email verification, auto email notifications, reserve amounts, buy it now, quick bids, feedback system, restricted sellers, payment system integrations, categories, featured items, TOS.. OK you get the idea, it has it ALL. Their documentation is very comprehensive with a step by step process that gets you going quickly. Upgrades are just as easy. I was able to perform an upgrade of the system in about 15 minutes, all of which was well documented. Customer service has been great. I have only had to reach out twice and they where prompt to resolve my issue. Cons: It wasn't free, and it didn't install itself? Seriously, you get what you pay for so if you invest in this product you will NOT regret it. Overall: We were looking for and alternative to public auction sites that charge huge fees for selling our vehicles. AuctionWorx allowed us to save literally thousands of dollars in fees by bringing the process in house. Pros: The experience from beginning to end has been exceptional, from pre-sales to developer support. The core product is extremely well designed and behaves exactly as you would expect it to with absolutely no surprises. But is also designed to be customized to suite unique auction requirements. The documentation for developers is clear and comprehensive. But best of all, the support team has been amazingly responsive, providing clear actionable answers whenever we needed guidance. Cons: Really can't fault the product in any way. As I understand it their hosting plans are limited to servers located in the US only. It would be nice if they offered a hosting plan on Azure and AWS for international companies that prefer not have to host it themselves. Overall: We are developing a customized online auctions platform for very high value luxury items. We could not find any off the shelf platform suitable for this, so I spent almost one month evaluating nearly 40 companies before settling on Auctionworx. The majority of alternatives were either geared toward the bottom of the market i.e. mediocre eBay clones, OR if designed for high-end applications such as real estate, antiques or vintage cars they came with an equally high-end subscription price in some cases 10X the price of Auctionworx. Also accompanied by arrogant, unhelpful sales and support staff - you know, the types of people that are incapable of giving you straight answers to straight questions. The Rainworx team has been a breath of fresh air and they are a delight to work with. Comments: Having trawled the internet for some type of auction software, we came upon Rainworx site, which looked the most professional and the most appropriate for what we needed. Yes, it does cost a bit to set up - however I would say it has been worth every penny. Steve, who is our guy in the States, has been amazing - any email we send is replied to in a couple of days at the latest - but usually the same day (given the time difference) - anything we need doing, programming wise, is done as fast as they can do it (which is pretty fast!). They are always at the other end of the phone if we need them, although for us with the time difference, email works well. They are also continually upgrading the site, which is great. Once you have the site, you can of course get your own programmers in, however, for us, Rainworx is doing everything we need them to. Of course, there are some things we would like to be able to change ourselves, occasionally, but they are minor. If you have experience of other auction sites, then the Rainworx site is fairly straightforward/easy to use. The CMS system, once you get your head round it, is logical and enables you to change base prices, logos, categories etc. Some html knowledge could be of use too, but usually what you need is easy to find online. Pros: It is simple to understand, yet highly flexible and customizable. Cons: - Currently no feature that lets you mass-edit your categories and products. 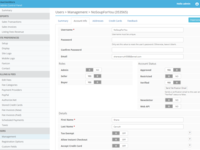 - Needs more built-in features and options for payment and invoicing. Overall: The software is sophisticated while still being easy to understand. AuctionWorx helped me understand front-end developing thanks to the great documentation and support you get from RainWorx. Simply put: If you're serious about starting a professional online auction house, there's no need to look further. Recommendations to other buyers: RainWorx provides some excellent documentation that you should read to fully appreciate the software and the possibilities. Comments: When I was first trying to start my business, ART55.co.uk, I used a rival companies software that was around the £700 mark and the site never launched. The software just wasn't good enough. So I went to Rainworx, yeah it is one of the most expensive out there... but you get what you pay for. I knew nothing about websites and how they ran, but the software is user friendly for someone setting up a website. It has a lot of different types of auctions, which is really good. It is mobile phone friendly. 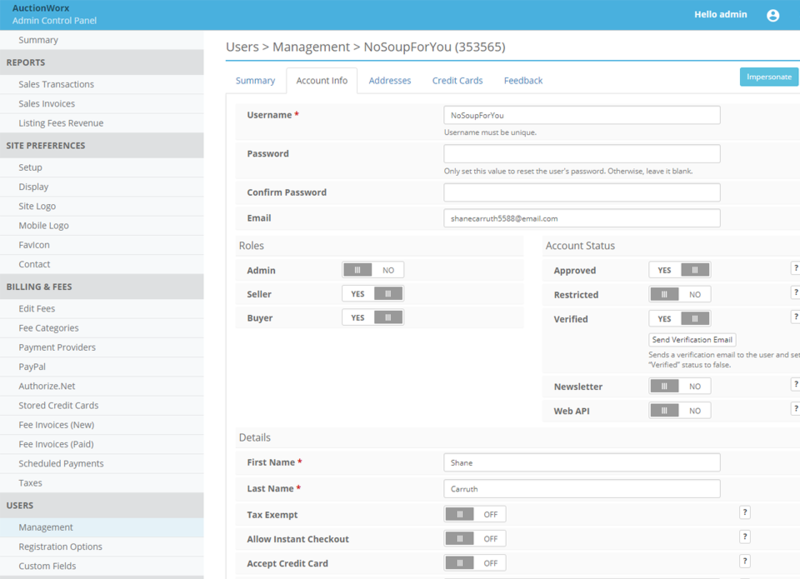 The admin area is easy to use, self explanatory in most cases. For the customer it is a good looking site, simple, user friendly.... and that is exactly what I needed. After purchase, the Rainworx team were exceptionally helpful. I dealt with Briana the majority of the time and she was really patient with me. Like I said I knew nothing about the basics, and she never patronised me about my knowledge, she helped me as much as possible. They helped me with slight changes to the site so that it helped my site help my customers. I honestly don't have any cons to be honest. It was good that they were American, as I am from England, there was no language barrier. I genuinely can't rate them higher and strongly recommend them. Pros: Cloud based, which does away with the need for server and database management duties. Also, far better backend functionality for invoice generation and sales reports than Auction Pro v7. Cons: No glaring issues at this time. We've only been live for a few weeks, and support has been quick to remedy any bugs or fixes necessary. Overall: We contracted with Rainworx to add Dutch Auction functionality into their SaaS product since that was why we were still running Auction Pro v7. 95% of our auctions are Dutch Auctions. We're very satisfied with the results and appreciate running our auctions on a more modern platform. Great product with 1st class support helped me achieve my goals. Pros: It's easy to use and very powerful in what it can do. It's potential is unlimited and gives you scope to expand your business. It has a very user-friendly design and my customers have commented about its ease of use and that it is one of the best of its kind around. Cons: Only able to give a flat rate shipping option on listings. Only able to see fixed price or events on homepage, not both at the same time. Should be more opportunities for user customization, design, layout etc. Overall: The freedom to create and hold my own auctions away from the restrictions of Ebay. 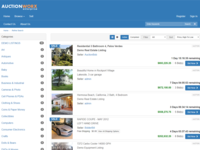 Comments: After searching for months for the right online auction software for a new business we ended up going with AuctionWorx developed by the folks over at RainWorx based upon a demo of their software and its affordable price. The software is well built with all the right features and options you need to run an online auction business. A good UI with great customization options to fine-tune the site to meet your needs. The code can be a bit complex if looking to implement your own customizations, but RainWorx has a good developer's guide to support your own designs. Having been a customer for four months now, the best aspect we've learned about our purchase is the support by RainWorx themselves. I would rate myself as a challenging customer and asked for support multiple times in the short time frame and Steve of RainWorx was patient, responsive and helpful. I am very happy we went with RainWorx and look forward to working with them further as our business grows. Pros: This solution is simple and easy to use and allows for customization. Dont worry about the confinements and fees of other auction sites. Crate your own t easily integrate into your own marketing needs and website. Cons: I would like to be able to categorize products and then mass edit them. Or search for an option and then mass edit as well. Overall: Overall support is decent albeit couple days sometimes. For set up this was fine but for an mergency may prove difficult. You get what you pay for and this is one of the best solutons out ther. Great People! Great Software! Cust support rep in particular has been Extremely Helpful! & Friendly! Pros: Interface is very friendly. Smooth. Clean, Updated. Easy to use for customization, and plug and play type work! Auction Worx has been wonderful to work with. 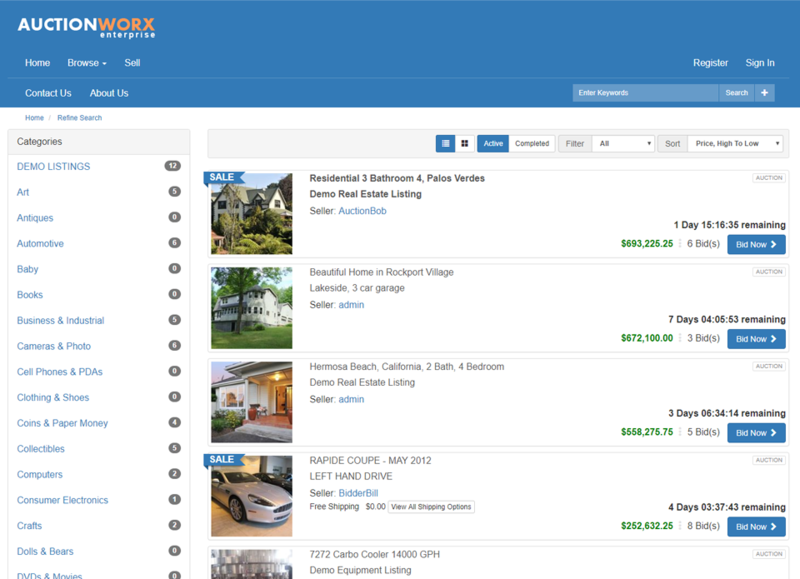 Pros: It's easy to use for the sellers, for the buyers and for us (we manage the sales). The reports are very user friendly. We appreciate the special programming that Auctionworx does. Cons: There seems to be a problem with the refresh. During the online auction, there is a message that pops up periodically saying that live updates are not happening. Overall: It allows us to conduct weekly sales of a huge variety of items. 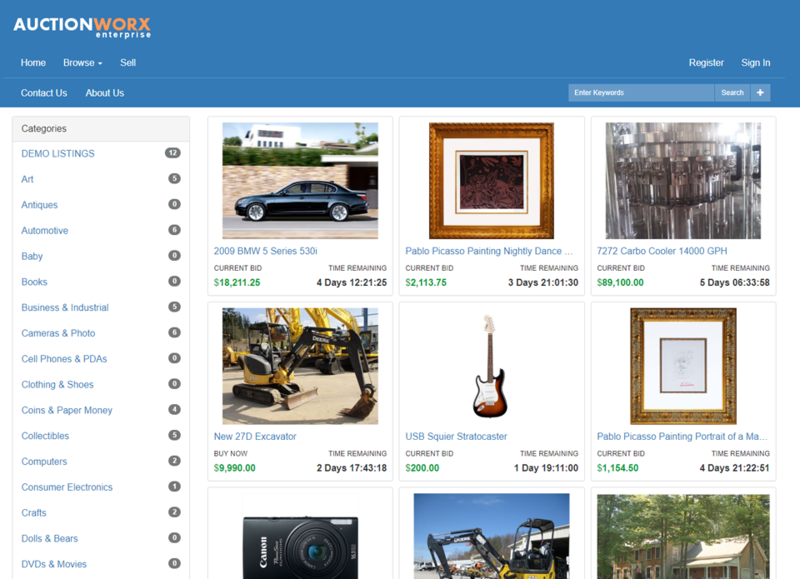 Pros: This software makes running your own auctions EASY while looking good. We operate a very specialized use of auction software, and the new Rainxworx Events Edition does everything we need out of the box. 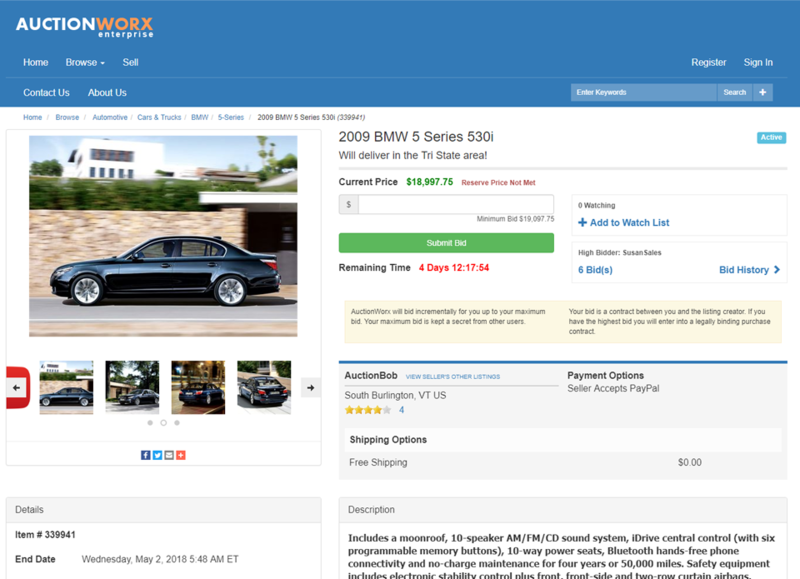 We like how extensive the options are for customizing your auctions. Cons: We have no complaints, everything works as expected. Overall: Exceptional. Rainworx provides both a quality product AND world class customer support. Pros: The Rainwork software is everything we want to rub our Auction Site, it was easy to set up and the control panel helped us adapt it to our needs, the best thing to say thought is the customer support, it is of excellent standard and we couldn't ask for more. Even if it is answering some of our daft (we are non IT) questions, I am very impressed and have been using the software for 3 years now and would do so again. Cons: The only Con is that the Company are US based and we are UK based, it means we have a 5 hour time delay but even with this an answer is pretty quick , even if logged at 8am uk time. Overall: Excellent, id recommend it. Comments: I have spent several years trying to build our own auction website as an addition to our online store. I have tried multiple softwares and had major problems with them all. I decided to try Rainworx software as a last resort with a large auction scheduled for February. The software is fantastic. The set up is extremely easy and it has all the important features needed to run an auction. I have many computer challenged customers. My auctions need to be simple and straight forward. Rainworx software offers this. My website is fast, easy to use and looks great. The Rimworx team was willing to work with me to help customize a few things and I was ready to go in no time. I would highly recommend this software! Comments: Looking for a straight forward and affordable Auction Site solution? This definitely fits the bill! Very good out of the box solution that has all that you would expect for an online Auction Site. Due to our business requirements & lack of technical resources onsite we were heavily reliant on Rainworx for additional customization work. They did not disappoint, in fact this for us is where they separate themselves from others. Their service and development work is exceptional, no job too small or large. Thank you Rainworx, you guys are fantastic! Comments: I am so happy we decided to go with Rainworx rather than build out our own auction software from scratch. Steve , Briana and the team at Rainworx are awesome! They have always been prompt and professional with any questions we've had or custom software changes we've made. The software itself is stable, user friendly and reliable. It has all the features you need to run a successful online auction. I am very happy with Rainworx and look forward to working with them as the business grows. Thank you Rainworx! Comments: It's been a real pleasure working with the Rainworx team. Software is feature packed and stable. We've done some very heavy customizing to the software and they've supported us every step of the way. From support with the code, to server support to answering questions, helping us customize - they've been fast and helpful. I would definitely recommend them, and would choose their company again. A++! Comments: The software and team are very professional and after lots of research, we could not find anything better. The hosting is also very good and very stable and reliable. The customer service from the team is superb with a very quick response to any questions or concerns that you may have. A great big thanks to Rainworx from us at StuffMine. Highly recommended. 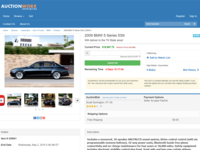 Comments: Thanks to the RainWorx software, we have achieved our goal in creating a customized, user friendly auction site in the most cost effective way. Their staff is very professional and respond to any situation promptly. The software is great and the service is incredible! Comments: We've been working with RainWorx AuctionWorx for almost two years now. The product is great, easy to use, easy to enhance, and very flexible. Their support is top notch!